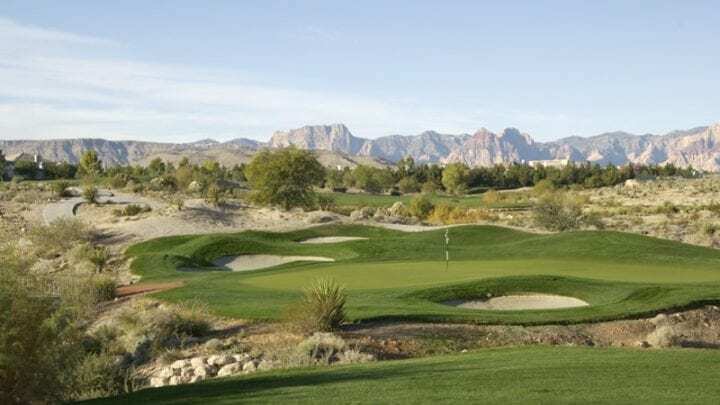 Voted in 2006 "Best Desert course" by Vegas Golf Magazine, 1997 "Best of Las Vegas" by the Review Journal readers poll, and ranked among the 1997 and 1999 "Top Ten Best Courses in Nevada" by Golf Digest, Badlands Golf Club is a challenging course to see what your game is made of. 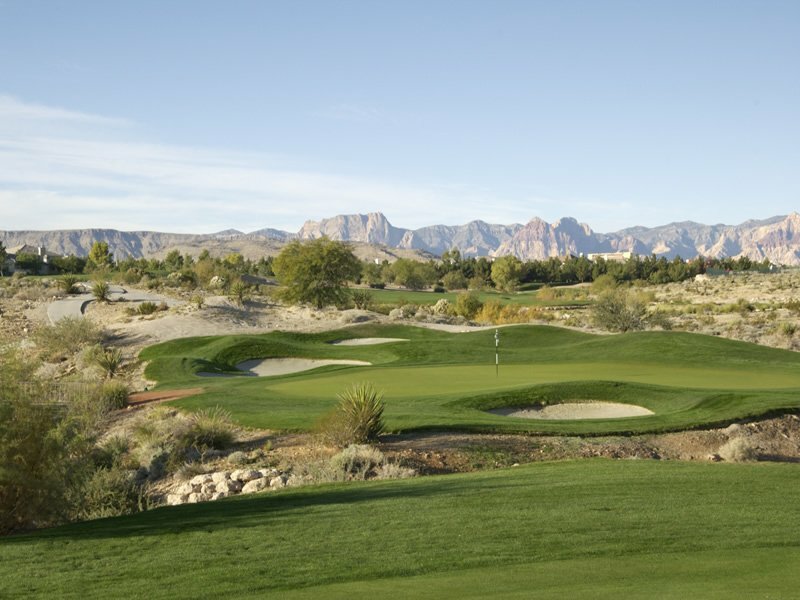 The Johnny Miller/Chi-Chi designed Badlands Golf Club has three distinct nines: the Desperado, Diablo, and Outlaw courses that will make even the best of golfers think before every shot. 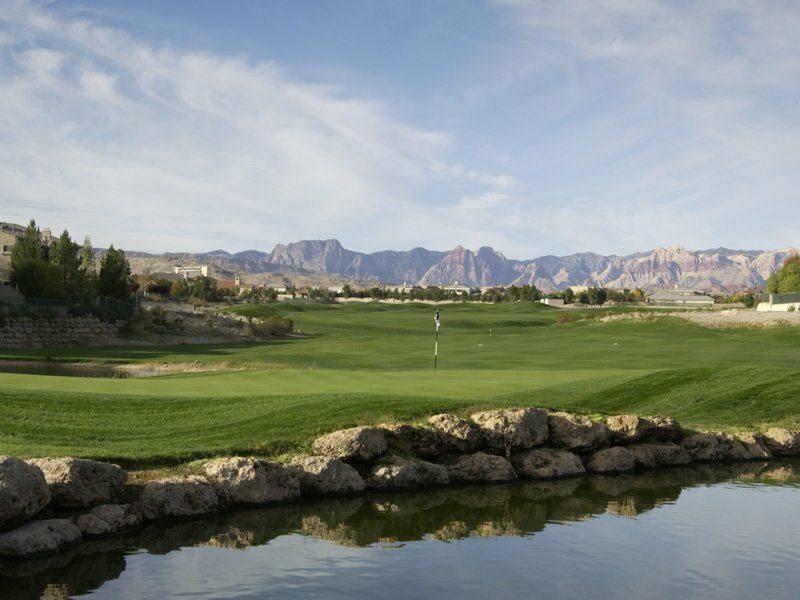 Badlands Golf Club consists of Twenty-seven holes of breathtaking beauty set against majestic Red Rock terrain. Deep-flowing arroyos, canyons, and natural washes surround this desert beast. 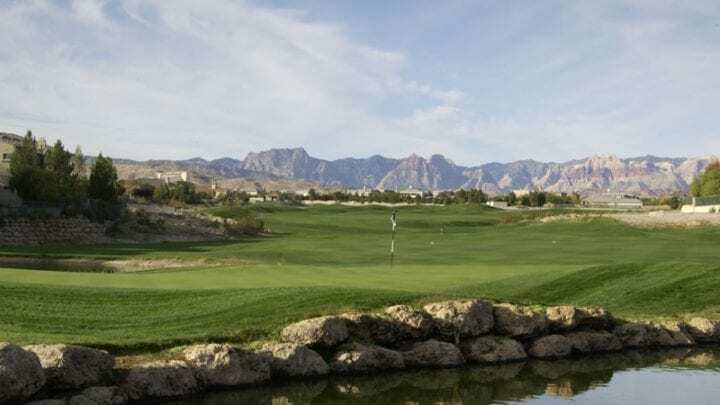 Badlands has scenic views of the entire valley, unequaled by any golf course in Las Vegas, being that it was developed on the highest elevation level in the city. There are some shots at this facility that will keep your knees a knocking. 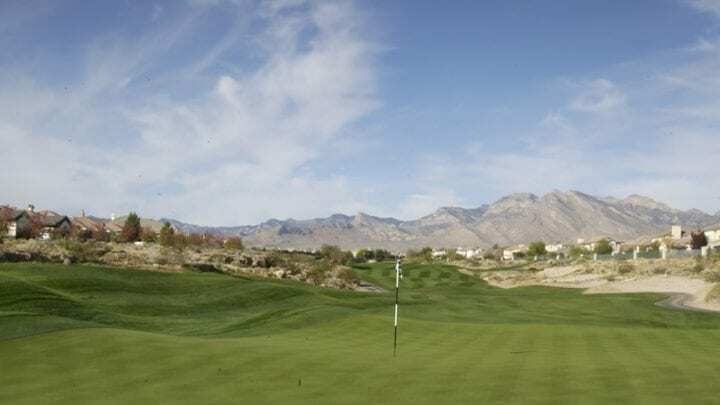 Just put it this way, par is a good score for any player on the majority of the course You might want to pack some extra golf balls, maybe a dozen or so, but worth every swing. 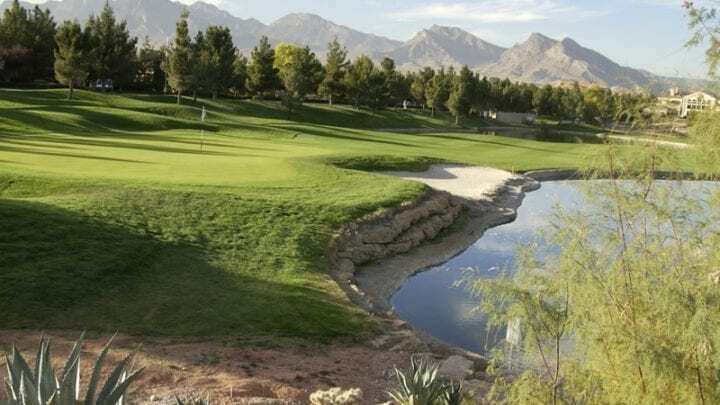 You will want to play it again next year, because you will have thought about your quadruple bogey back in the office many of times. 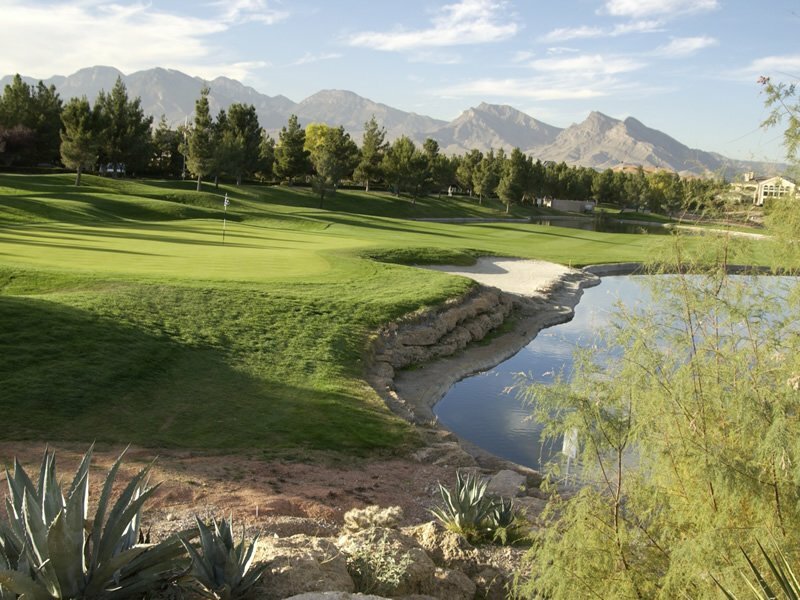 Number eight on the Desperado course is a hole that you will never forget. 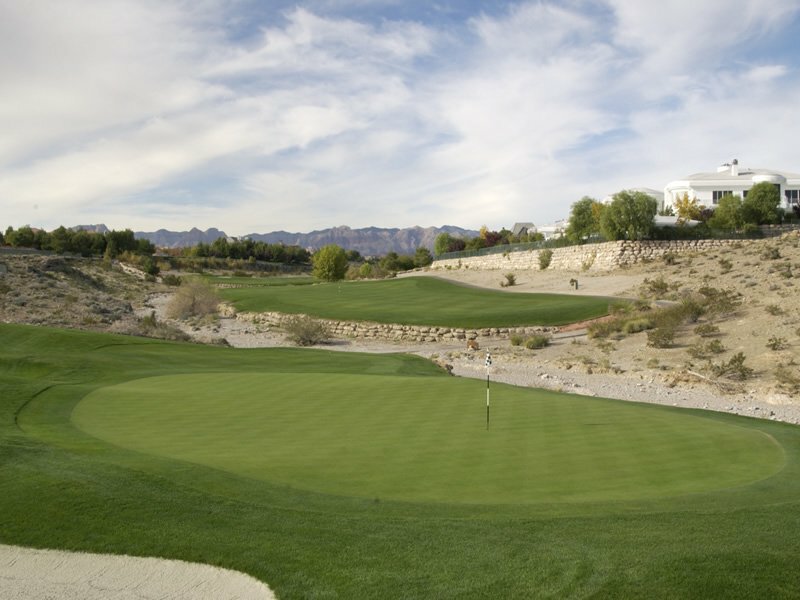 Playing 196 yards from the tips, the green on this par-3 is entirely guarded by a rock arroyo. Your shot must carry the entire rock landscape in order to have a chance at seeing the dance floor. Good luck on this one! Badlands is pleased to announce that a $2.7 million renovation project is near completion. 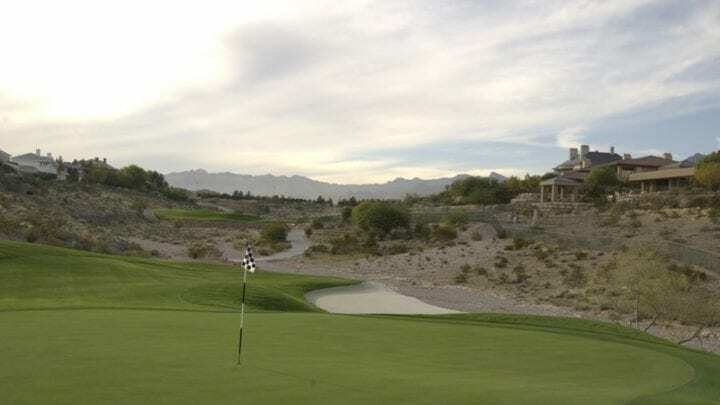 When overseeding is completed in late October 2009, players will notice a major improvement in the putting surfaces on the Desperado, Diablo and Outlaw greens. 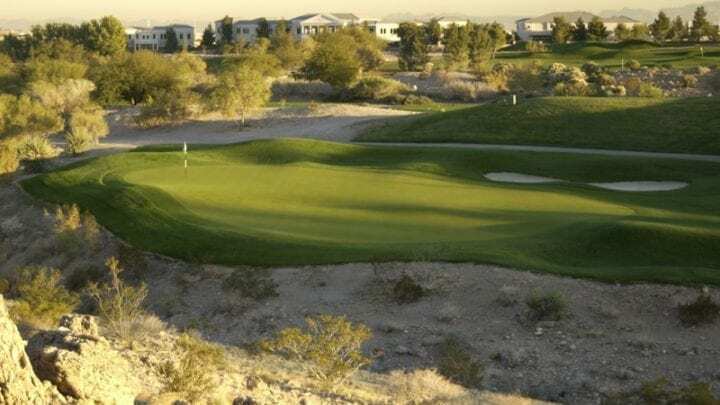 Badlands will continue to have 18 holes open for play during the overseeding process.The renovation, which began in May 2007, was aimed at enhancing the “feel” and improving the drainage of all 27 greens at Badlands. 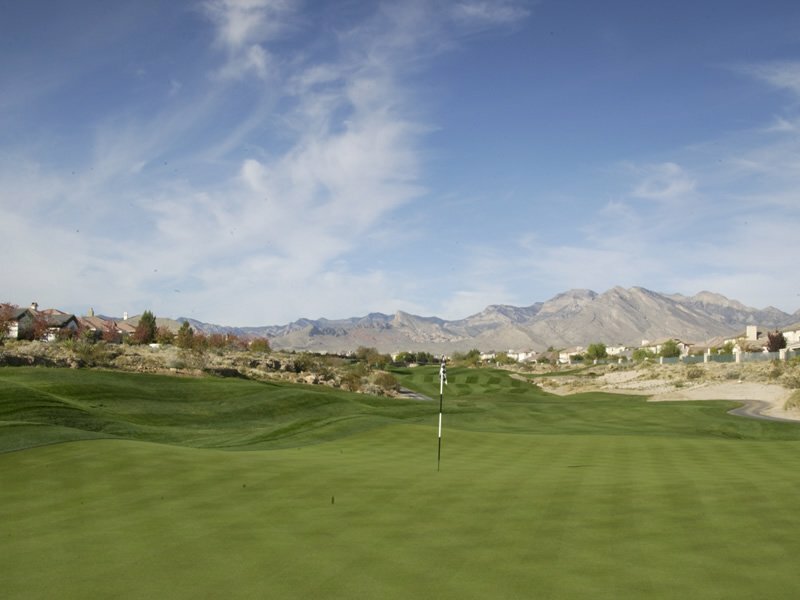 Starting with the Desperado course and finishing with Diablo and Outlaw, every green was removed to the subsurface and completely rebuilt. The greens were also grassed with upgraded Pennlinks Bentgrass putting surfaces, marking the first time in the club’s history that all three courses feature consistent surfaces. In addition to upgraded greens, Badlands also improved several bunkers, added new tee boxes and completely resurfaced numerous others. The driving range tee was also resurfaced during the renovation and the practice green was greatly increased in size. A brand new short-game practice area will also be complete in October and will feature a pitching & chipping area, practice bunker and an additional putting green. 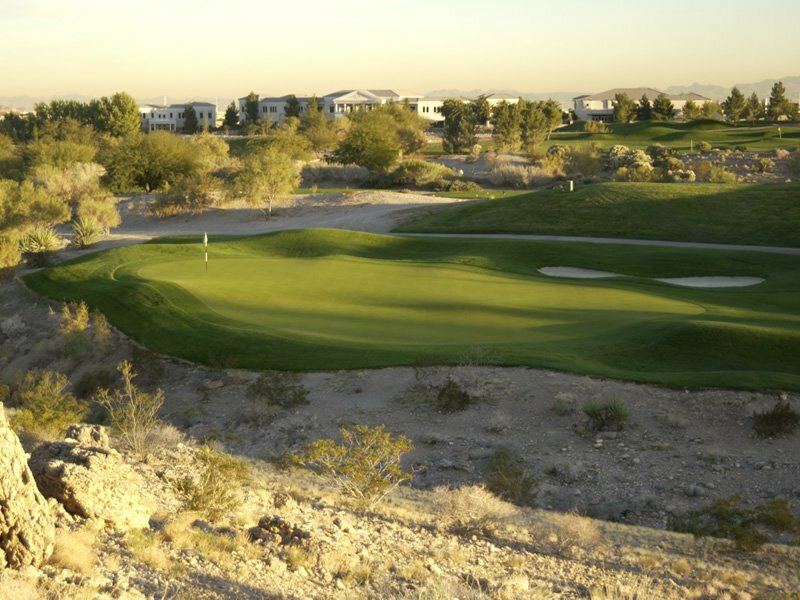 Badlands Golf Club is 15-20 minutes from the Las Vegas Strip. 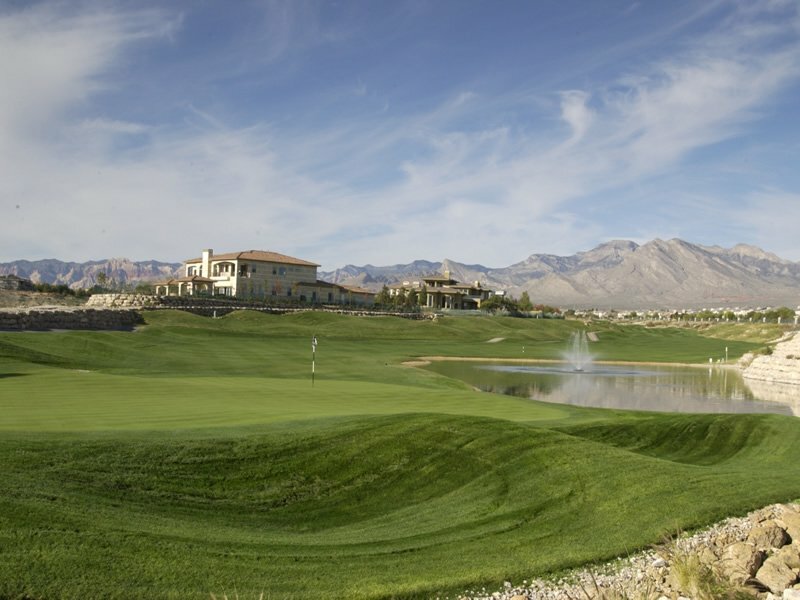 It has full practice facilities available: A 16-station driving range, chipping green and putting green will allow you to fine tune your game before challenging the Desperado, Diablo or Outlaw courses. 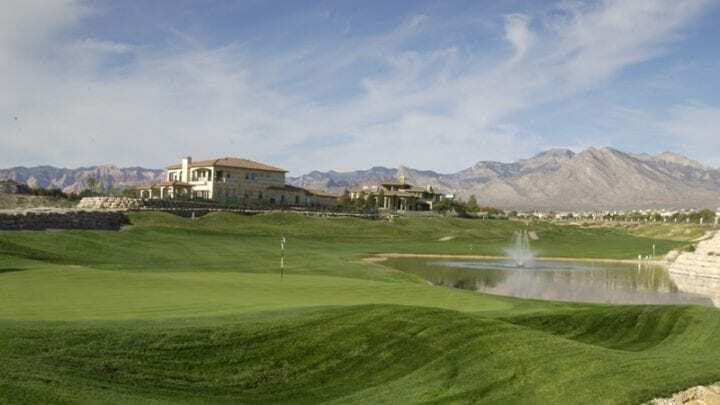 The Badlands is a public Las Vegas golf course featuring a full-service clubhouse with restaurant, bar, and a golf shop that features many leading brands. The new Bentgrasss greens are of moderate size and come with tricky breaks due to the challenging moderate to severe undulations. 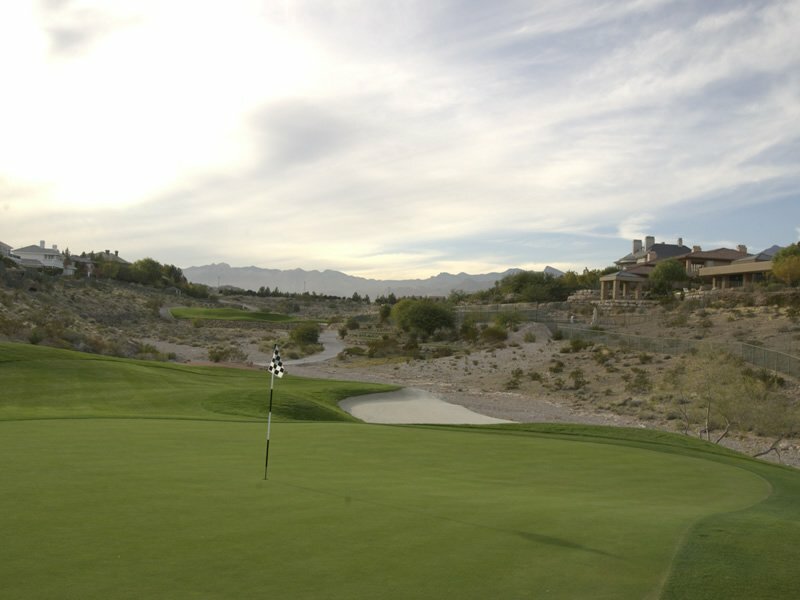 Enjoy your day at the exciting and sensational Badlands Golf Club! Upon arriving at the Badlands Golf Club, I was not immediately picked up in the parking lot. 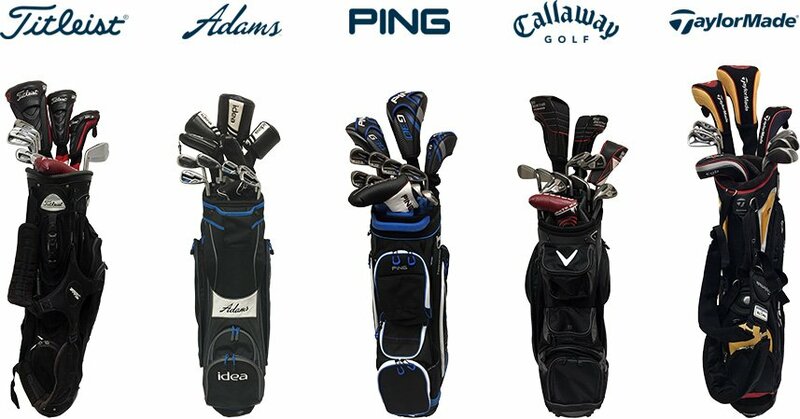 I ended up walking my bag nearly to the bag drop before someone noticed me and drove up to retrieve my clubs. The staff inside the pro shop was much more on point, as Dustin helped me check in and pointed out where I would be checking in and location of the practice facilities. I was happy to see the practice greens and driving range were in great shape, and after a short warm up headed to the first tee. 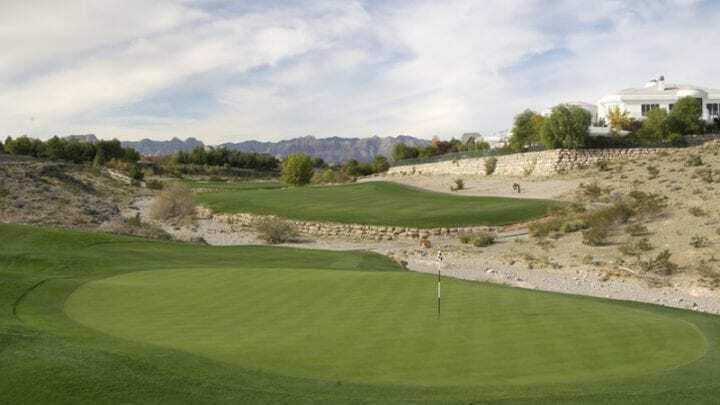 Today's round would be played over the Desperado and Diablo 9’s, the tougher pair of the 3 nine hole courses at Badlands GC. The latest punch on the greens was slightly evident, and they were rolling a bit slower, but I enjoy a slower green. The fairways were lush and super soft today, which made the ball stop fast and lost a lot of extra roll for distance. The lunch specials are good and restaurant is comfortable and roomy. Those points aside, it was a good round and was worth every bit of the daily rates this course asks for. It’s a 4 out of 5 for sure.